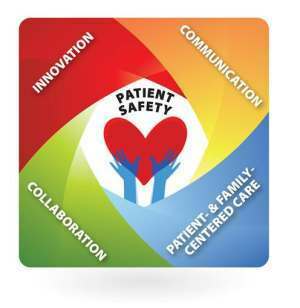 The High Reliability program is a commitment of hospital CEO, senior management teams, and quality and patient safety leaders to ensure excellent quality care is consistently delivered for every patient, every time with a commitment to zero preventable harm. War Memorial Hospital is on the journey to becoming a High-Reliability Organization (HRO). War Memorial Hospital was selected as one of nine hospitals in the State of Michigan to partner with The Michigan Health & Hospital Association (MHA) on becoming a High-Reliability Organization. High-Reliability Organizations operate under challenging conditions yet experience fewer problems than would be anticipated as they have developed ways of managing the unexpected better than most organizations. High reliability organizations cultivate resilience by relentlessly prioritizing patient safety over other performance pressures. War Memorial Hospital is committed to creating an environment in which potential errors are anticipated, detected early and virtually always responded to early enough to prevent errors. As part of our commitment to quality and patient safety, War Memorial Hospital is becoming more transparent with our patients, community members and employees. War Memorial Hospital has up to date internal data displayed in public locations throughout our organization, and on our website. We are consciously tracking and identifying any errors, in order to correct our processes and systems to prevent future errors from occurring. War Memorial Hospital is committed to transparency. We look forward to providing safe, high quality care to our patients in all-ways. In order to achieve zero preventable harm, War Memorial Hospital is committed to performing Root Cause Analysis (RCA) on all serious safety events, implementing corrective actions of Root Cause Analysis, creating or revising policies and procedures, and providing staff education. We will also continue to monitor our handwashing rates, and provide education to employees and patients on the importance of handwashing.